← How Dangerous Is Hollywood?- Scandal! Your skin is not the boundary of your body, there is none! Scientists have discovered that the bacteria in your gut is similar all across the world much like blood types – I have a different take on this! Dr Peer Bork found what he calls 3 EnteroTypes by sequencing the gut bacterial DNA. These bacteria help with digestion, absorption of nutrition and even help manufacture vitamins we need to stay alive. In essence, the types of bacteria that live in our gut vastly affect our health. It makes me wonder if our naked skin really defines the borders of our bodies as it does for many of us viewing the picture on the right. Many of us who are focused on holistic health care, have paid attention to this ill defined body boundary as we use probiotics to heal illness and damage done by Antibiotics. In fact a holistic alternative approach to treating food poisoning is huge doses of probiotics (gut bacteria) to crowd out the “bad” ones in the spoiled food that are now in our gut. The “bad” ones then cannot grow and are eliminated. Here is something I want you to think about! If we have more “bacterial” cells in our body then “body cells,” which is our real body? Now don’t decide to quickly! We tend to define our body by what we view as our physically attached cells that work as organs and as a team with the rest of our bodies structures. 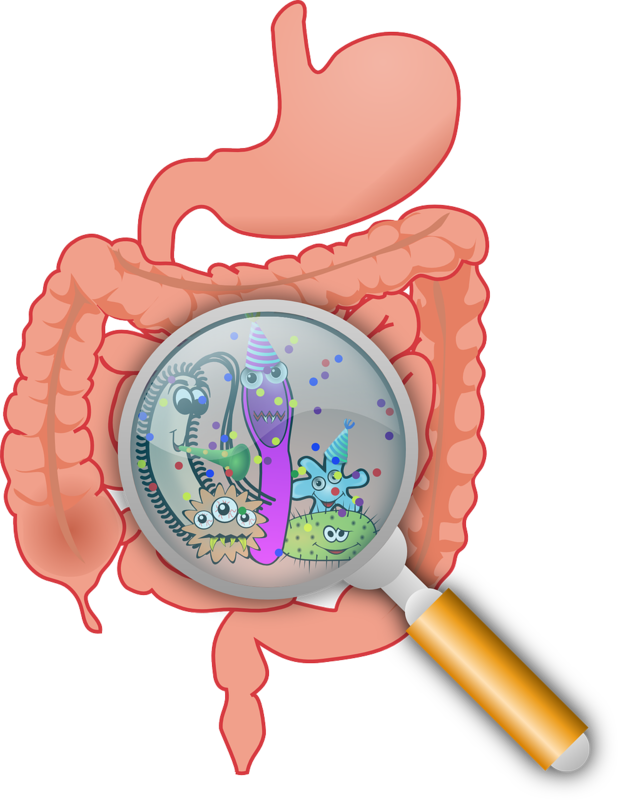 Guess what, the gut bacteria are physically attached to us and they work as part of the team. Yes, they can live outside our bodies if the environment is right but, So What! Heart cells transplanted to a petri dish with the right nutrients can continue beating for years. It has been done. The next time you take an antibiotic casually to “help” kill of a persistent cold, keep in mind that you are destroying the cells of your body that make up your gut! The truth about reality is that it must constantly be re-defined based upon the growth of human knowledge and understanding. Never, Never, Never think of the boundaries of your body as the skin over your bones. If you do, you may carelessly poison your body and ruin your life and that of your loved ones. We are one with the world in more than the mystical sense shared by the “Hippy Drama” of the 1960’s or the “Tree Huggers” of the 21st century. Think Big, Never Believe That Anything Is A Proven Fact, Always Question, Always Grow… just as you did when you were 6 years old. Consider a new approach to staying healthy, consume more bacteria rather than less….. Just make sure it is the right type!